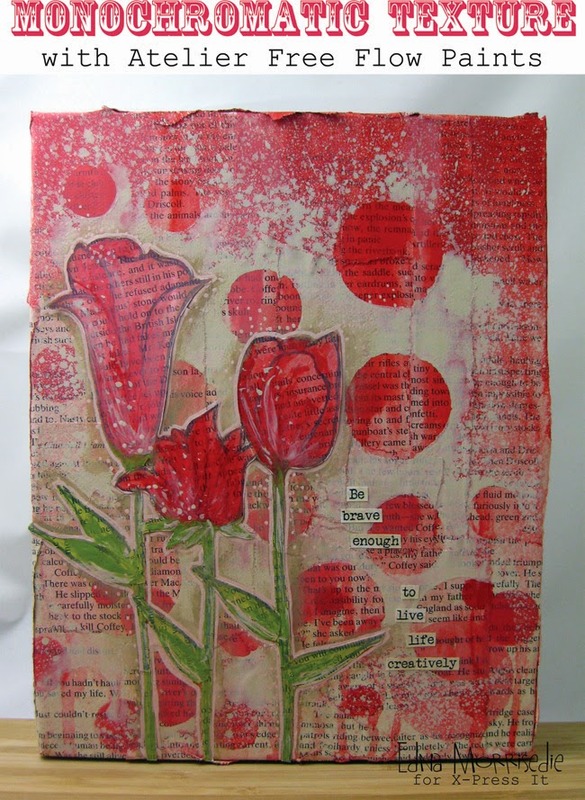 There's no denying - art journaling is certainly very trendy at the moment. 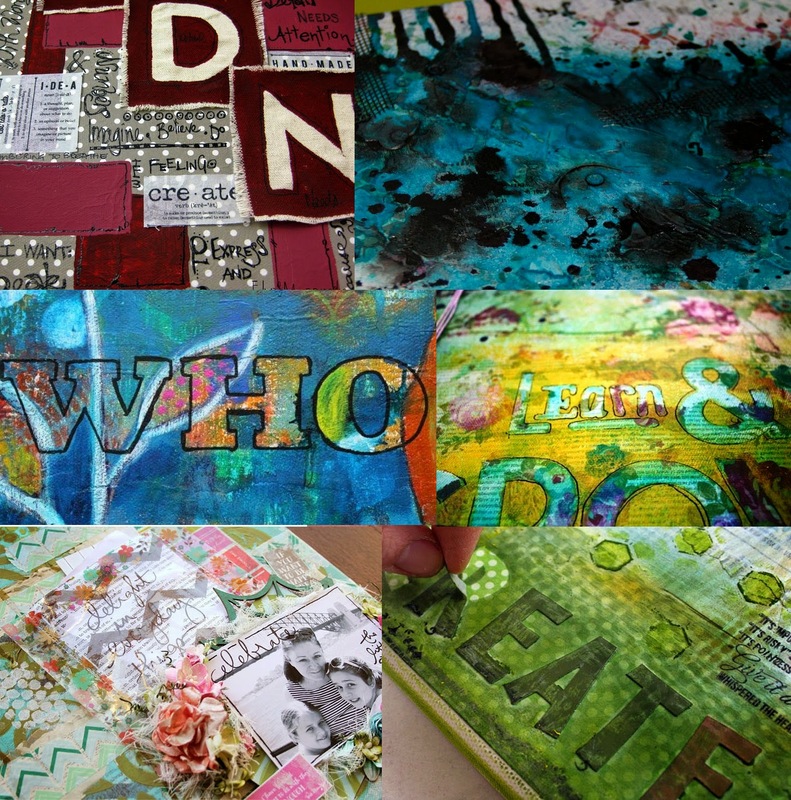 I'm showing you a couple of pages I have created recently using an X-Press It Mixed Media Journal. The first thing I noticed was how lovely and thick the pages are - they can take a lot of water/media without buckling, tearing, pilling or any other disaster I have created in other lower quality journals. 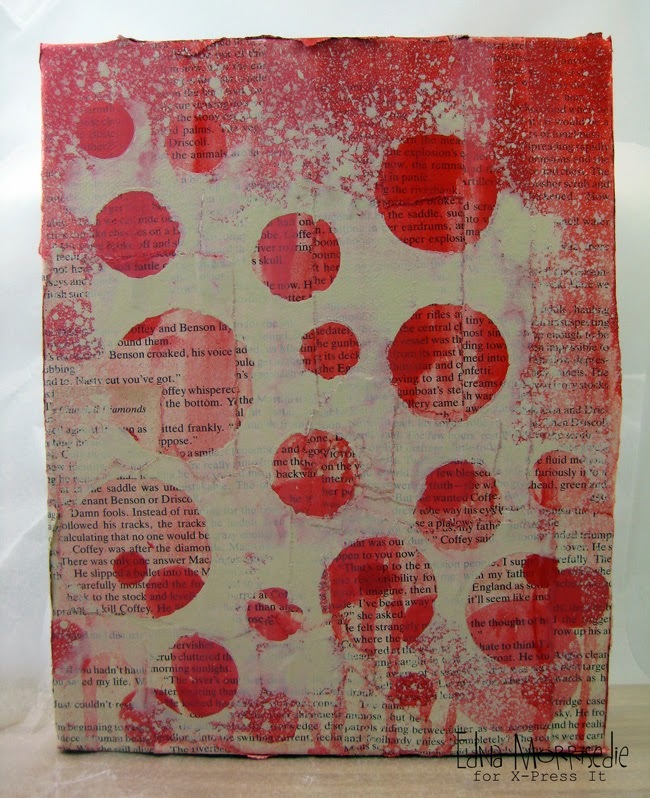 Then I coloured a scrap of paper (cut from a page torn from the Mixed Media journal). I added water to blend the colours and when I was happy, I dried it off with a heat gun. The thing I love about art journaling is that anything goes - nothing is incorrect, and it's more about the playing and less about the finished product. I hope I have inspired you to go forth and create....but first, do yourself a favour and start with a quality journal! Hello everyone! 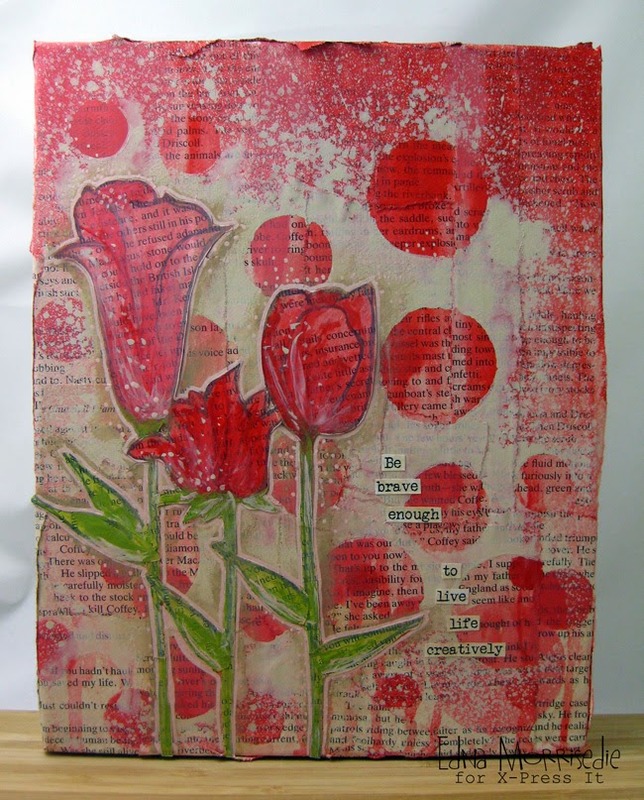 It’s Robyn with you today sharing a project featuring the wonderful Hazel & Ruby products. I was so pleased to get a bunch of these products in my design team welcome pack and am enjoying using them. My project is a set of mini greeting cards and uses a pack of premade scalloped cards from the local $2 shop – they measure 7.5 cm square and came with matching envelopes but you could easily make something similar from cardstock instead. My first card features a stencilled zigzag and handmade flower. The zigzag was done by laying two strips of the chevron stencil mask from the Hazel & Ruby Everyday Shapes sheet and sponging with white paint. The flower was created by layering a number of punched flower shapes, spritzing with water and then folding them into the centre – once the flower is dry the petals can be opened to create a lovely crinkly flower. I used Hazel & Ruby Wrap It Up Crazy for Chevy – Teals paper, the chevron is a bit hard to define in the finished flower but gives a wonderful texture effect! Pop it onto the card with a stamped greeting from Darkroom Door, a tiny button and it is done. This cute ‘Hello!’ card was created by painting the card front with a mix of pink and white paint to give a mottled look. The greeting was trimmed from a roll of the Hazel & Ruby Chalk It Up Fat Roll Washi Tape – the word was simply written on with a white Molotow pen. A handwritten greeting is so easy to customise. Strips of X-Press It Foam tape give the greeting some dimension as it sits over a strip of Hazel & Ruby Swanky Solids Washi Tape. I thought the colours of the two pieces of washi tape blended perfectly! My next two cards feature stencilled butterflies. The Hazel & Ruby Stencil Masks are perfect for using in this way as they stick closely to the cardstock surface, preventing any bleed through of colour to the card base. I selected one of the bigger butterflies and placed it at an angle on the card front, painted a mixed of blues over the top and allowed it to dry before removing the mask. The stamped greeting from Darkroom Door was then embellished with a few lines of white Molotow paint pen to make it stand out a little. The second butterfly card uses a pair of images already placed together on the mask sheet – the scalloped, open circle and a teensy butterfly. I layered them onto a small square of white cardstock and sponged with two different colours of Distress ink. Simple layering with ribbon and a printed greeting finished it off. I hope you have enjoyed learning how I created this little set of mini greetings! 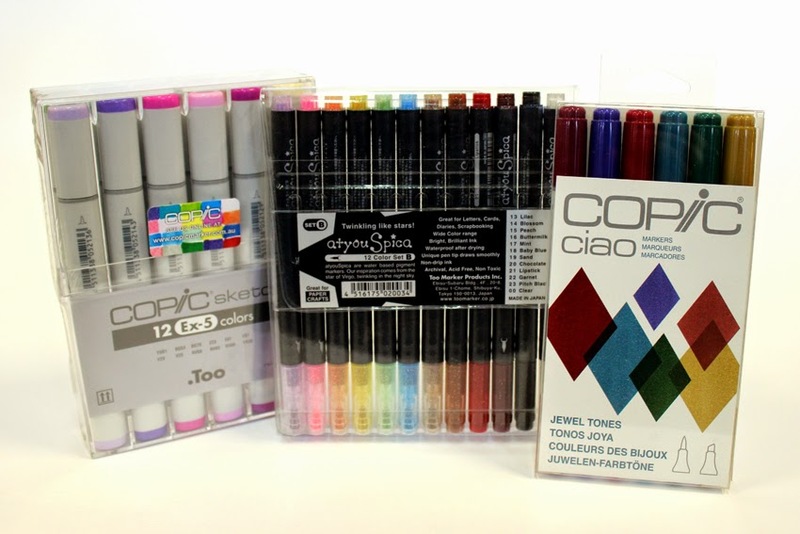 It’s so easy to change out the stamps, masks and colours to suit what supplies you have. Don’t forget we always love to see your projects so please share them to the Inspiration Lane Facebook page or stop by my blog and say hi! Flow with whatever may happen…. Zhuangzi has a fabulous quote that reads, "Flow with whatever may happen and let your mind be FREE. Stay centred by accepting whatever you are doing. This is the ultimate!" 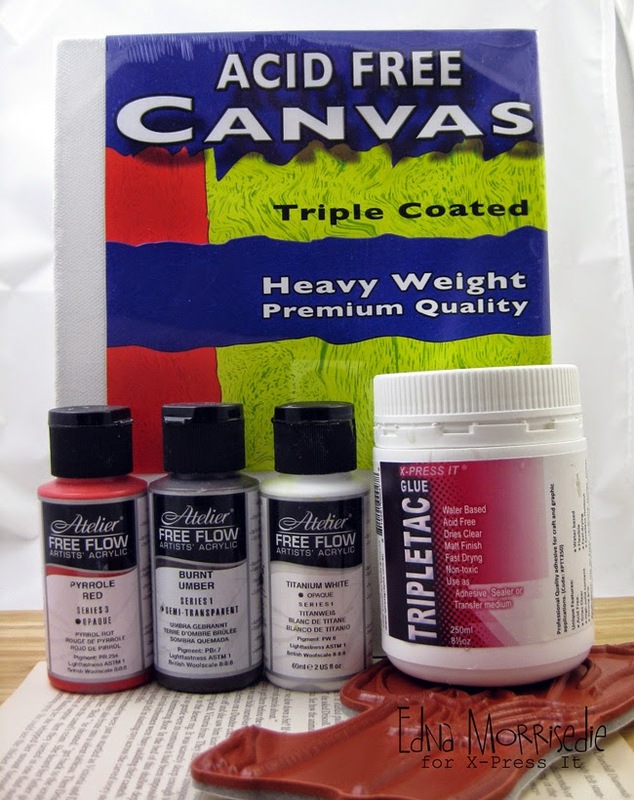 Nothing more could be true when working with Atelier FREE Flow Paints, they have the most fluid of consistencies, creamy in their natural form, allowing transparency when used wet or dry, and running wild when mixed with water… all great characteristics for working with paper. 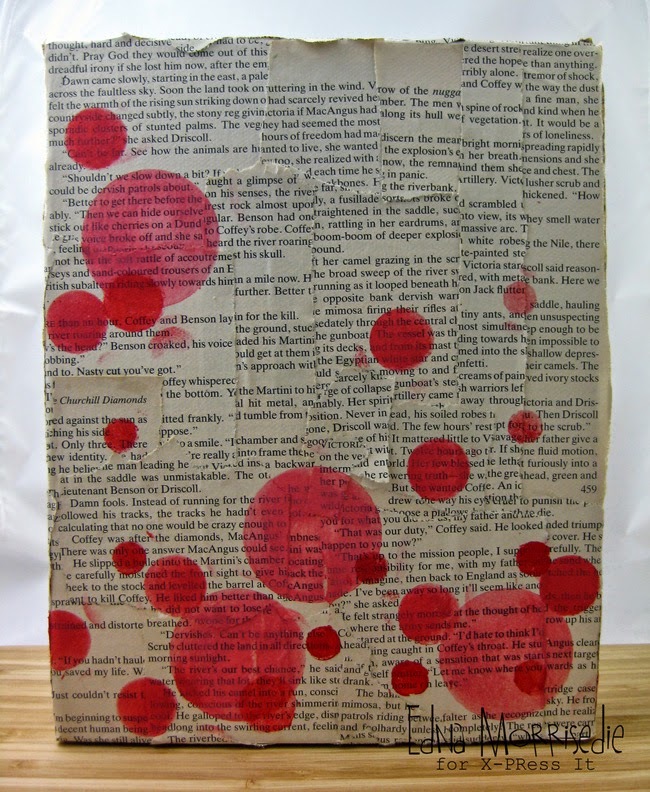 I used sections of old book paper directly onto the canvas with X-Press It TripleTac Glue, being careful to place the paper on top of brushed on glue, without sealing over the top as you normally would in a mixed media piece. 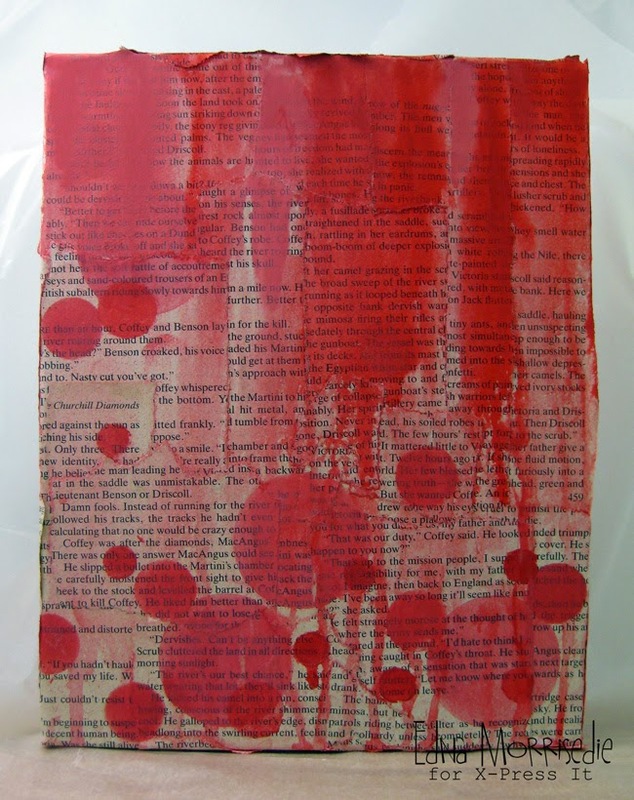 There are lots of joins in the paper, and I wanted the matt finish of the paper to absorb the paint that follows, and for the joins to catch pieces of paint to add more texture…. Next I mixed three shades of pink/red paint mixing up the density of red, white and brown in each cup. 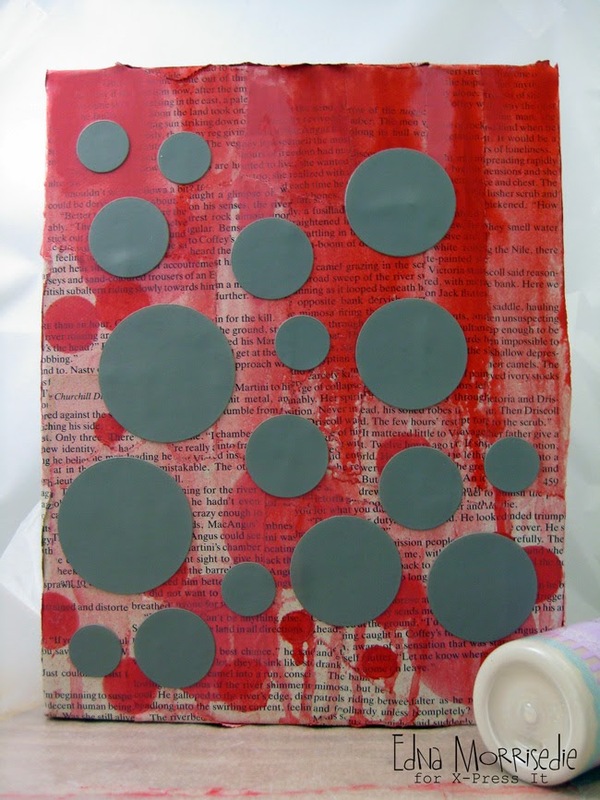 Next I loaded the top of the canvas with the three different shades of paint, and sprayed with water to create drips down the front an across the sides of the canvas, so now we have the same three shades in different textures to the original dry stencilled circles…. I have mixed up a cream Free Flow Paint with white and touches of brown, and then diluted it a little in a spray bottle with water… and then I sprayed the paint atop the mask being careful to leave peeks of the paper and paint background. Because the paint is transparent this muted the background in some sections, and also emphasises the seams in the original paper layers…. and continues the circle theme. Then it was all about adding finishing touches to the flowers with more of the same paints… deepening left over cream to make a beige shadow for the outside of the flowers…. the finishing flower outline and dots were made with a Molotow Paint Pen, the 207 skin pastel is a great all around pink! I hope this has inspired you to flow free with paints, and accept that where you start will be so different from where you began… in such a good way! Enjoy…. Well that was a fun blog hop - thank you all so much for getting involved!! We know you have all been waiting for it, so here are the lucky winners! If you are one of the lucky winners, please send an email to inspirationlane@xpressgraphx.com.au with your postal details! If you don't have a photo editing program, all of this can be done through the Lumi website. I printed this image onto a sheet of Lumi Inkofilm, which is an inkjet transparency. I printed it on the highest quality because the black bits have to be really black and opaque. Up until now, all of this has taken place inside. Now it's time to go outside for some sunshine. I was disappointed to find it was the cloudiest, most overcast day ever in Melbourne. At least it wasn't raining! I know the Lumi Inkodye only takes about 10 minutes to react on a sunny day, so I figured it would take about 30 on such an overcast day, so I left it on the bonnet of my car and went inside for a cup of tea. Aaaah - there are my girls! I left it to soak for a few hours to deactivate all of the photosensitive molecules, and then washed the fabric piece in the washing machine. I don't really know how to sew, but when the fabric piece dried, I layered it onto some denim from some old jeans and made a little cushion out of it. Voila! A gift for someone who thought they had everything! The potential for the Lumi Inkodye range is endless! I'm seeing home-made merchandise, funny t-shirts for special events (eg buck's/hen's nights, birthdays), personalised aprons and shopping bags, business cards, gifts for grandparents, invitations for kitchen teas, baby showers etc etc. With a range of nine colours, there's sure to be one to suit. Ooooh - now I'm getting excited! I hope I've inspired you to create something too. 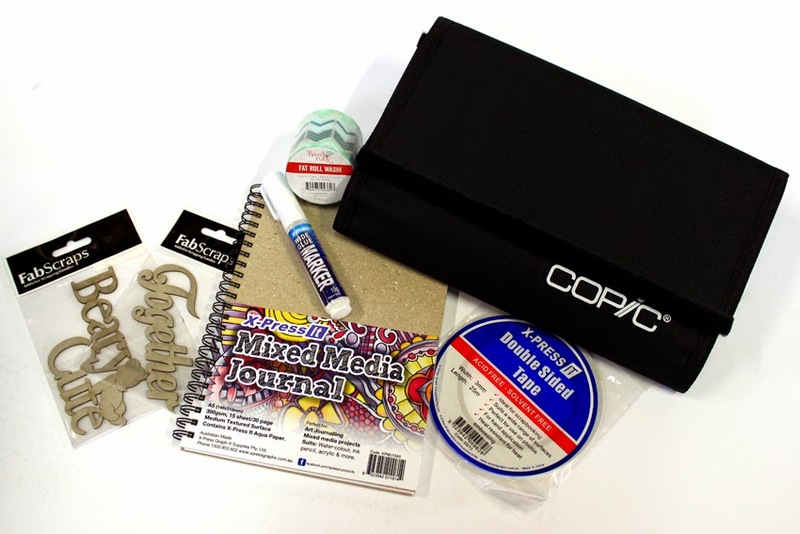 PS- Make sure you pop back tomorrow morning to see if you were one of our lucky blog hop winners! !